NOW OPEN: Hatsune Miku Music Cafe is back for a second round! 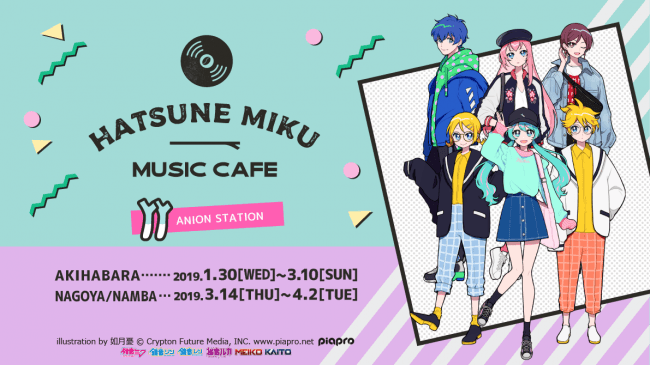 After popular demand from its initial opening in Fall 2018, the Hatsune Miku Music Cafe is once again! 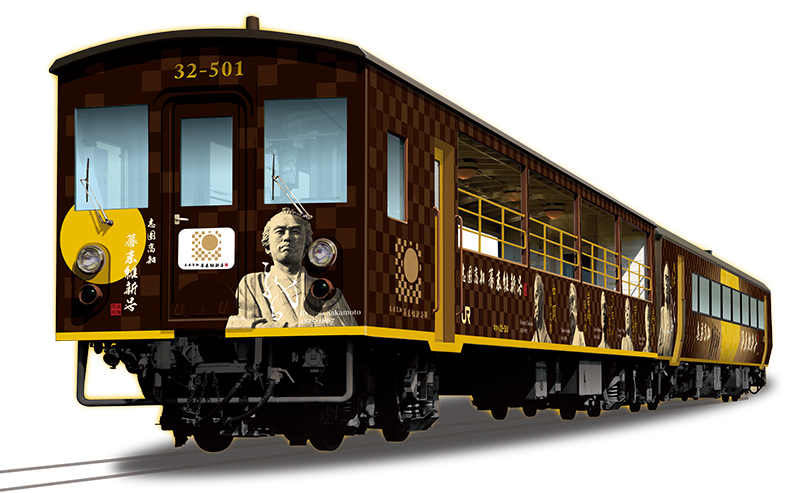 The cafe will be open to the public from now until Sunday, March 10th in Anion Station Akihabara, and in Nagoya and Osaka on Thursday, March 14th through Tuesday, April 2nd. At the cafe, guests will be able to enjoy a music video from all Piapro characters broadcasted through large monitors and high-quality speakers. This time, the featured theme song of the cafe will be “One more time * One more time…” (Composed/Lyrics by yumeria) accompanied with an original music video. In addition to the theme song, guests will also have the opportunity to choose from over 2,000 songs on a record sleeve-style panel. Discover new songs as you enjoy all things Hatsune Miku at this cafe! Other than new songs, guests can also look forward to an original menu featuring all Piapro characters as well as special illustrations by Yuu Kisaragi and items limited only to this cafe. Lastly, an opening event by music producers will be held on Saturday, February 2nd in order to celebrate the anniversary of the opening of the cafe. Please check out the website below for more details! An opportunity to discover new songs! Choose from over 2,000 songs! Guests can choose from a list of more than 2,000 songs centered on KARENT, a record label focused mainly on VOCALOID music, including the cafe’s theme song “One more time * One more time…” (Composed/Lyrics by yumeria) as well as look forward to enjoying music videos accompanying some songs on a large monitor. After choosing their desired song, guests can place requests via a record sleeve-style panel made to look like shelves at a record store. Discover new songs and enjoy the retro record-style designs! Includes a novelty Item: 1 mini acrylic stand （A:6 types/B:6 types, 12 types total)　※Guests choose between type A or B and will get a randomized acrylic stand from that category. ※Please choose one coaster from either list A or B. ※Please note that the “Green Onion Apple Drink” does not come with a coaster. 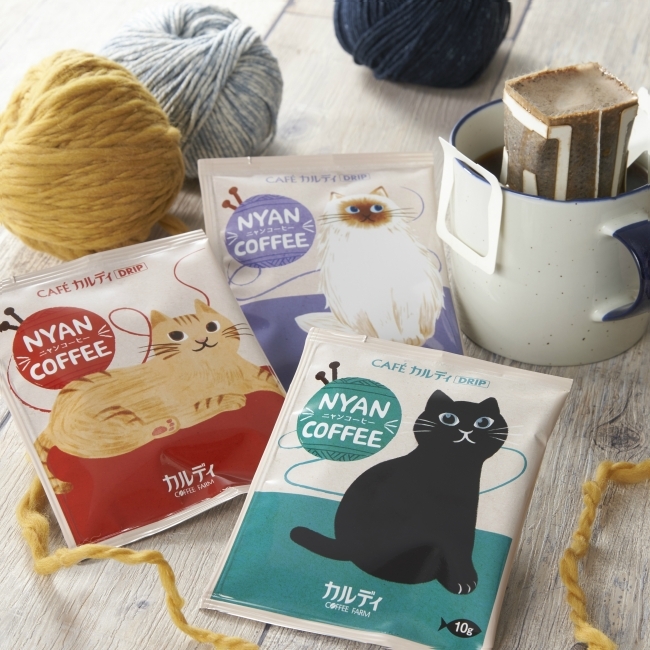 Here's your chance to get your hands on limited, cafe-only designs by artist Yuu Kisaragi! Check below for a brief list of items available for purchase.